This work can be seen as the continuation of Sensation in Homeopathy. Sankaran here continues refining his method. The method is now clearer, easier and more refined than ever before. This book consolidates a system, the process of which began in 'The Spirit of Homeopathy' and carried on to 'The Sensation in Homoeopathy'. Since the latter was written, there has been much progress in the Sensation idea. 'The Sensation in Homoeopathy' gave us the philosophy and guidelines to practice. This book addresses the problems and pitfalls that seekers in this method face. It answers many queries about the sensation and its expression, and how to understand it better, in a clearer and simpler way. One of the significant things is the deeper understanding of the experience; living it and seeing almost nothing else. Secondly, refining the technique of how to get there. Understanding in cases, what exactly leads us from one level to another, and how to follow that. A deeper understanding of minerals and some in the animal and plant kingdoms. The three sublevels of Sensation (Level 5), the features of the various levels (and potencies), the rows of the Mineral kingdom, and the classes in Animals have got much clearer. Also, case taking has become more flexible and easier. It seems to be now much less of a struggle for the homoeopath (and patient) than before. To follow the patient into his nonsense is one of the most challenging and rewarding of experiences, both for the homoeopath and the patient. As Roger Morrison puts it, "In case after case, you followed the thread of the patient's expression to this non-human level. In each case I began by feeling, "What nonsense is this?" and ended by feeling, "What sublime nonsense that was!" I had already accepted the concept of non-human and made efforts to pursue it in practice, but finally I came to understand that no other information was so specific." Explained in detail, with several illustrative cases, this book documents Rajan Sankaran's most recent advances in the method. The Sensation idea has come of age. It is 16 years since Rajan Sankaran's acclaimed book the Spirit of Homeopathy was first published. I was an eager but exhausted student at the time and found the clarity and directness of his ideas a refreshing antidote to heavier reading material. If I had thought my learning could stop there I would have been mistaken. He has developed his ideas and methods with each new publication, though thankfully he usually summarises his previous ones in the introduction. According to Sankaran, this book consolidates the concepts and methods explained in The Sensation in Homeopathy and he advises against reading it before digesting his earlier works. I would echo this, as his classification of kingdoms, miasms, concept of sensation and the seven levels need to be understood before one can appreciate further refinements to these ideas. 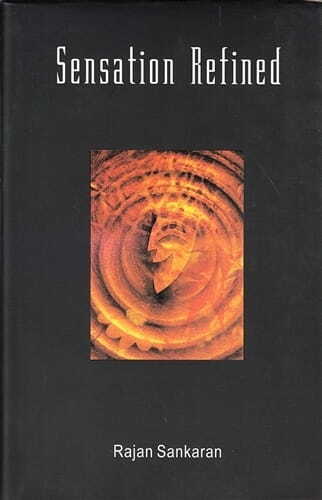 Sensation Refined is divided into a preface and five sections; Philosophy, Exercises in Finding the Story behind the Story, Techniques of the Art, Cases and an Appendix. The part on Philosophy begins with a case taken before the idea of sensation became entirely clear to him and shows how the 'old method' can fail to reveal the simillimum. The case is successfully retaken using his new method. This example illustrates our need to hear the 'non-human song' within, as the non-human equals disease. "A plant, a mineral or an animal lives within. We need to hear that song, within the patient." In order to work in this way we need to go to the deepest level within the patient, which hand gestures and the non human-specific words can help us reach. Many of the concepts in this book, such as global and local sensations, hand gestures and levels have been introduced in The Sensation in Homeopathy, but there are additional tools for cracking the case. How, for instance, do we know which words are significant? In chapter 5 Sankaran uses mnemonics to guide us. The analysis of doodles in chapter 7 is also quite fascinating. The concept of seven levels (discussed with regard to potency in chapter 9) is central to Sankaran's recent work. While I find some of his ideas on potency very useful, it is frustrating that Sankaran does not identify the sources, especially the 'non energy' plane of Level 7. I am sceptical that we can actually access this level in daily practice, except when we become enlightened! In section three he gives us more insights into perfecting the technique, such as keeping the patient in the present, being flexible with the method and using the map lightly. There follows a selection of fascinating and brilliant cases, all of which testify to Sankaran's adroit practice, a master of allegory and metaphor, as illustrated in cases of two famous people - one notorious and one a modern hero. Sensation Redefined is another enjoyable work from a master of modern homeopathy, and the addition of coloured illustrations adds to its aesthetic appeal. Some of its content could confuse the novice who had not studied his method at some length, but it is a great read. After the three large volumes of "An Insight into Plants" and the equally hefty "The Sensation in Homeopathy", it is a delight to again hold a slimmer and condensed volume by Rajan Sankaran in your hand. With this "Sensation Refined" it seems that somehow the development has come full circle, the many ideas have been tried, adÂ­justed, pared down and refined. This is, for now, the clearest representation of the idea of sensations, but knowing Sankaran there will always be further development. His latest work, the two-volume "Structure", has already been published by the time you read this review. In the foreward we told that you need to read the previous books to get the full benefit of this one. I can only agree but I sincerely wish there would come a book on Plant Sensations Refined. Sankaran is the first to admit that this books represent ideas that are being worked out as the book is being written; that is why "Sensation ReÂ­fined" is much needed at this point in time. The five parts: Philosophy, Exercises in FindÂ­ing the Story behind the Story, Techniques of the Art, Cases and the Appendix are all very concise and to-the-point and at the same time brimming with wonderful insights and valuable thoughts about many aspects of homeopathy. It is a book you can read again and again. Sankaran says about finding the remedy in case-taking: "We are just going to reveal it; we are not creating it". The particular technique required for this kind of case-taking is well defined here and the parts on common mistakes, imporÂ­tant words, significant hand gestures, how to enter "the secret door", the non-human specific, timing etc. are all of great use. It is refreshing to read a book that is not remÂ­edy-obsessed, which is precisely the point Sankaran makes: "every time you see an expression, go deeper... to see and feel how everything about them is connected, is a part of a discernible pattern". How to guide the patient to his connectedÂ­ness to the source of the remedy by using the concepts of levels and observing gesÂ­tures and energy is also very well described here. By focusing on the Experience and not the Situation we can guide the patient to the Non-Human-Specific world of sensaÂ­tion and thereby Global Sensation that perÂ­meates all areas of the patient's life. I canÂ­not help but wonder to what degree SanÂ­karan has been inspired by the philosopher Ken Wilber's ideas of the levels of awareÂ­ness and self-transcendence; the similarÂ­ities are striking and very enlightening both ways. The chapter on "The Doorway through Doodles" touches briefly on an area that is extremely interesting and deserves more research. Reading the "Potency and the Levels" chapÂ­ter, I can't help but wish that some in-depth research had been done or represented here, to really determine if this connection, between level of awareness and potency required, is more than an elegant philosophy that ties everything up beautifully (again in accordance with Ken Wilber). "Keep the Patient in the Present" and "What, not Why" are a few of the many great snippets that make the "Sensation Refined" worthy of the title. What really shows the maturity of the ideas contained in this book are the chapÂ­ters "Flexibility in the Method" and "Use Your Maps Lightly" where Sankaran warns, "Do not be rigid... the object should be fixed, not the way... one needs to be flexiÂ­ble, according to the situation." The cases in the last third of the book are great illustrations of the points made in the preceding chapters and are interÂ­spersed with Sankaran's "voice-over" exÂ­plaining to the reader what is happening and what he is doing. I have not enjoyed a book by Sankaran this much since the first volumes of "An Insight Into Plants" and I am looking forward to what the future brings from Sankaran. When asked to review this book I was simply delighted Even though I only started my journey on the Sensation method (or the Bombay method as it is also called) a few years ago, I have been an avid reader of the author's other books. It is important if one is going to enjoy using a book to start with the general feel of it This book looks like a curious novel with its cover depicting a 'seven level energy spiral with man at the centre being manifested as plant, mineral and animal' The quality is pleasing, albeit a little on the heavy side for me, espeÂ­cially as I prefer to keep my travelling weight down Nevertheless, it seems that with every new book Dr Rajan Sankaran produces, there is an improvement both m the physical quality and more notably the clanty of his ideas. Sensation Refined is in five parts: 'The Philosophy', 'Exercises in Finding the Story behind the Story', an excellent section on Techniques of the Art', an interesting array of 'Cases', and an 'Appendix'. Starting with 'The Philosophy', for those not familiar with the Sensation method, Sankaran says 'this book is not for you'. He advises us to read most of his previous books m order to have a solid foundation from which to progress to this book But even if you are unfamiliar with this method the book is still written with enough information from which to comprehend this coherent technique However, to fully understand this method I would certainly recommend reading The Sensation in Homeopathy first and then this book. With these two books under your belt I feel you will have the tools to make headway using this method. At this stage I must mention that, practically speaking, if one is going to prescribe using this method one really cannot be without Sankaran's Schema as this is a concise tabulated summary of the above books. Central to the Sensation method is the concept of the vital sensation having three sub-levels. Sankaran advises us to identify them in the same order during case-taking. We are told that gestures are the key to unlocking the remedy and we must observe and pay attention to.wrien they occur: The truth is not what you know, what you think, what you feel, not your story or your situation, not your dream, your nightmare, or what you imagine. The truth is your expeÂ­rience ... you will need more than words to describe it; you will need gestures and images. You will need to move your hands or body, and make a sound. The cases have obviously been carefully selected to show clearly how holding fast to this technique of keeping to the words and sensations of the patient, especially those connected with hand gestures and those that have energy with them, lets 'the accurately observing physician' know the remedy. It is truly amazing how often the patient talks the source language and even goes as far as naming their remedy! Sankaran gives a graphic analogy of the practitioner being in a foreign land and relying on the patient to take him/her to the highest point in their (patient) personal land. From this 'clear vantage point' the practitioner can see 'how all else in their inner land fits into place'. Throughout the book Sankaran reminds the reader not to get anxious, to have the confidence to stay with whatever the patient says until they get to their deepest level and then at this point when the patient is asked by the practitioner for their expeÂ­rience, the kingdom will become apparent. The author guides the reader through the case-taking and understanding process. It is as if he is standing beside the reader, nudging and giving reassurance; just persevere and all will become clear. We should not forget that it is the patient that leads the practitioner to the remedy and not the other way round. Towards the back of the book is a useful questionnaire for 'outstation' patients. This questionnaire is an effective aide-memoire for case-taking for those who are 'Bom'babes' and I think it would perÂ­haps be better placed in 'Techniques of the Art' rather than the 'Appendix'. A splendid aspect of the book are the comments of other practitioners of this method, which appear throughout. Their comments give insights into the thoughts and in some instances the difficulties that they have encountered, and the changes they have made to their strategy. The only minor criticism that I have, is that some of the chapters would be better located in other sections. ChapÂ­ter 6, 'Actions Speak Louder than Words' and Chapter 7, 'The Doorway Through Doodles' would perhaps be better placed in the third part of the book, 'Techniques of the Art', as I feel that the information in these chapters actually contribute to the techniques that can be employed by the practitioner. ... this book addresses the problems and pitfalls that seekers in this method face. It answers many queries about the sensation and its expression and how to understand it better, in a clearer and simpler way. Has it done that? I would say a definite 'yes'. I found myself underlining so many sentences as they all seemed significant. Sensation Refined has made the Bombay method clearer and more understandable. More importantly, with practice and confiÂ­dence, it is reproducible and that is the beauty of this method, and what makes it so exceptional. To summarise, I would warmly encourÂ­age all my fellow homeopaths, especially those that are new and curious about this method, to read Sankaran's earlier book The Sensation in Homeopathy first, and then Sensation Refinedto perhaps see and understand true homeopathic healing from a different perspective to their own, with the confidence that if they were to attempt to apply this method, it is someÂ­thing that they too could achieve. This book will definitely prove to be a great addition and an invaluable source of help for any homeopath.